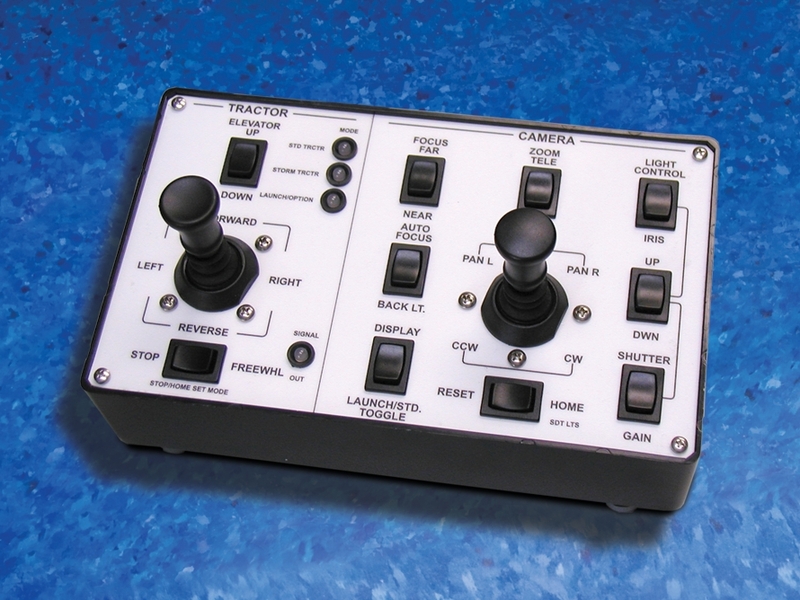 The most intuitive auxiliary controller that we offer. Ergonomically designed dual joystick controller allows for easy operation of all camera and tractor functions with dedicated controls. Multiple mode selector enables operator to select component (e.g. standard tractor, storm tractor, or other) and controller will self-adjust to the selected unit’s features.